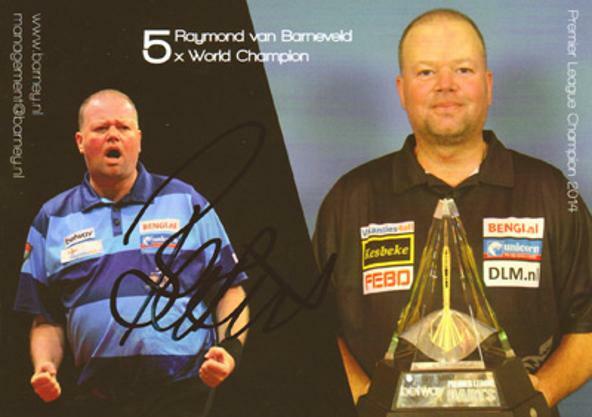 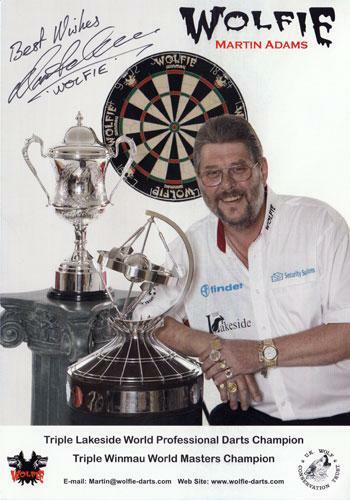 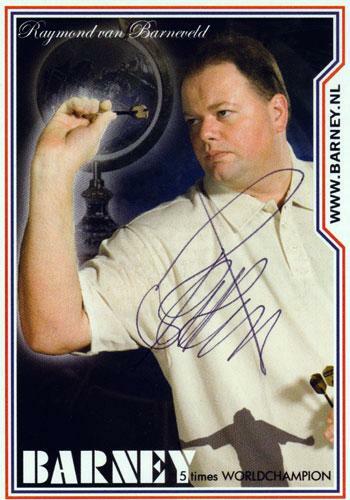 MARTIN ADAMS Memorabilia aka "Wolfie"
RAYMOND van BARNEVALD Memorabilia aka "Barney"
Signed official 'Barney' 2014 Premier League Champion postcard with career & biographical details on reverse. 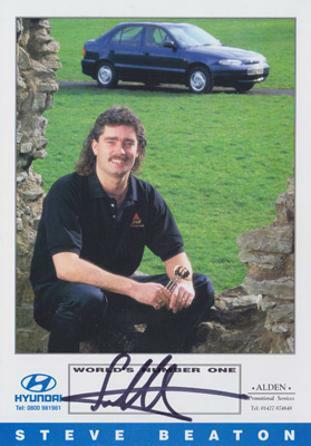 STEVE BEATON Memorabilia aka "The Bronzed Adonis"
Signed Hyundai World's Number One promotional card. 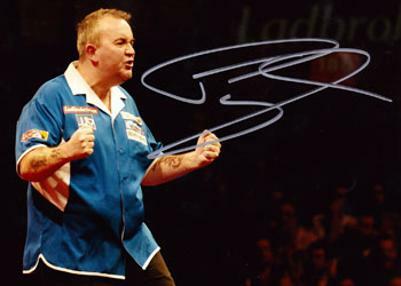 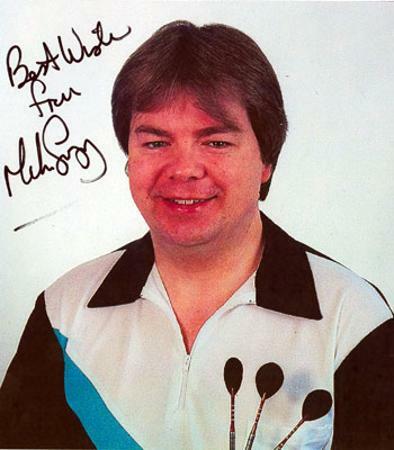 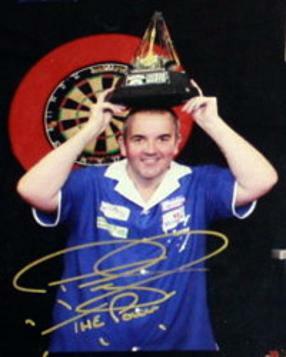 Mike Gregory Darts Exhibition Night in Enfield. 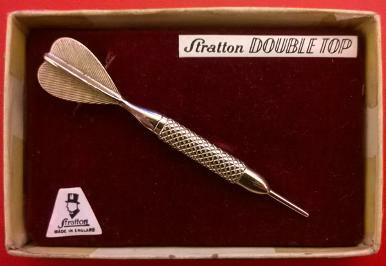 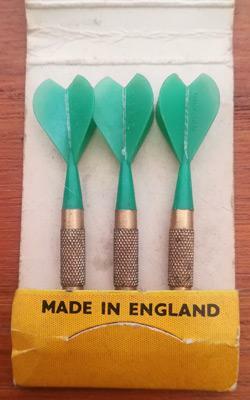 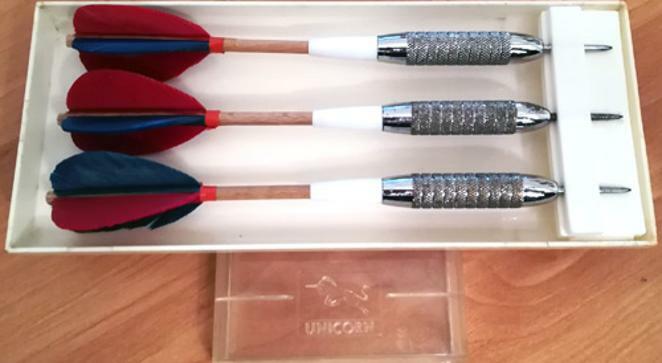 PHIL TAYLOR Memorabilia aka "The Power"
Gold-plated mini darts in a promotional match-book from Unicorn Products Ltd.
We have various sizes of this design available. 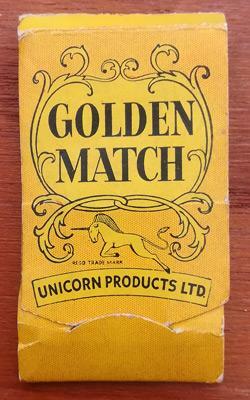 Vintage gold coloured metal tie pin. 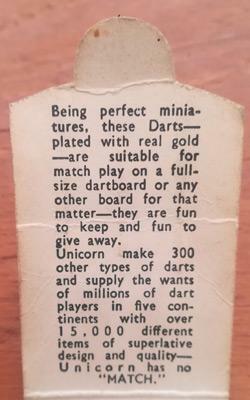 Original plastic box with clear cover.